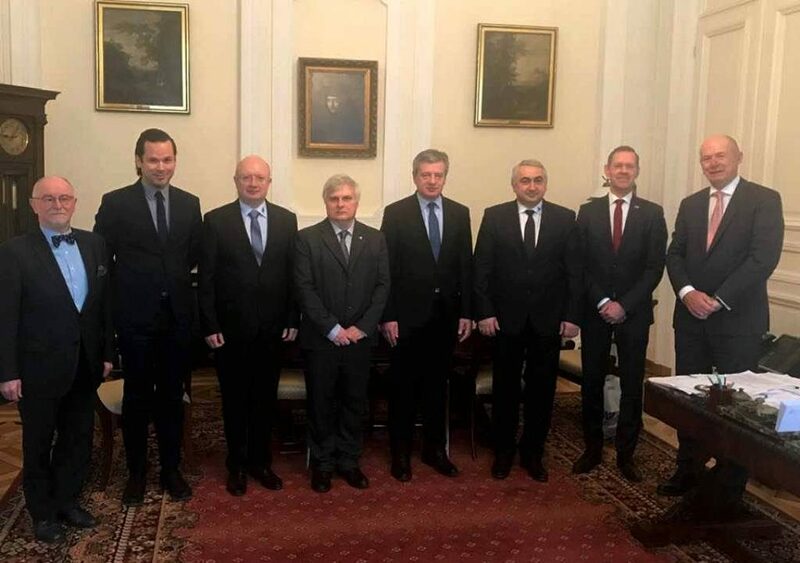 On December 17, the Rector of Vasyl Stefanyk Precarpathian National University Igor Tsependa took part in the coordination meeting of the rectors and the first meeting of the coordinators of the Collegium Carpathicum project in Warsaw. Collegium Carpathicum includes seven universities from the Visegrad group, as well as Romania and Ukraine. In particular, it is Vasyl Stefanyk Precarpathian National University (Ukraine), University of Warsaw (Republic of Poland), University of Ostrava (Czech Republic), Petras Pazmi Catholic University (Hungary), Eastern European High School in Przemysl (Republic of Poland), Presov University (Slovakia) and University of Stefan Chal Mare in Suceava (Romania). The initiative to create a consortium was supported by Marshal Seym Marek Kukchinski several years ago. During the annual Carpathian Europe Forum in Krynytsa, where several years ago discussions took place, university rectors decided to create a consortium of partner educational institutions. On December 18, in the Ballroom of the Pototsky Palace, Warsaw University, the solemn closing of the year on the occasion of the 80th anniversary of the opening of the Observatory was held. This event was attended by the rector of Vasyl Stefanyk Precarpathian National University Igor Tsependa, Director of the Studio of Eastern Europe of Warsaw University Jan Malitsky, Deputy Director of the Department of Cultural Public Diplomacy of the Ministry of Foreign Affairs of the Republic of Poland Andzej Fonfar and others.